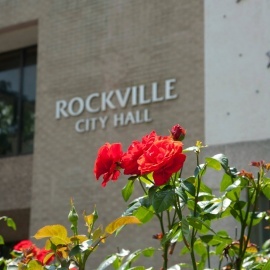 The city of Rockville is located in Montgomery County, Maryland. Rockville offers a pulsating downtown. The city has an abundance of frivolous activities to explore along with a surplus of annual celebrations. The city offers easy access to Washington, D.C. Rockville is located 12 miles northwest of the nation's capital. The Rockville Town Center is located in the heart of downtown Rockville. The Town Center is a lively and effervescent amenity in the heart of Rockville. Rockville's Town Square has many restaurants to choose from as well as stores to shop. The locale's streets and plazas are completely pedestrian-friendly. The Town Square is also the location for the Rockville Library. The Visual Arts Center also has an amazing rooftop deck. The City of Rockville boasts its own Ballet Company, band and youth orchestra. Rockville offers annual events, stunning parks, theatre and more to choose from all year round. The City of Rockville is among the largest cities in Maryland and occupies 13.03 square miles within the metropolitan Washington, D.C. area. Money Magazine ranked Rockville number sixty six in its 2008 list of "Best Places to Live in the United States." Rockville is served by three international airports which include BWI, Reagan National, and Dulles. Amtrak, MARC, Metro rail are railways that provide access to Rockville, along with Metro bus and Ride On buses. Montgomery County is located next to Washington, D.C., and is home to diverse cultures, rich history, world-class shopping and dining, and plenty to see and do. Join us at Living Faith Lutheran for an Easter Egg Hunt on April 20th at 2pm! Children through Grade 5 are welcome to hunt for candy and toy filled eggs. Taiwan Bubble Tea Festival, free music, craft, TW cuisine & bubble tea! Taiwan Bubble Tea festival, come to enjoy live music, crafts, Taiwanese food and of course, bubble tea! Come enjoy food, games, music, and of course beer! A fun-filled family event where kids 6+ make egg shaped bath fizzies and take home 4 of their own made fizzies.